(1) A positive mitzvah, mitzvas aseh, to remember the evil that Amalek did (Sefer Hamitzvos, Positive Mitzvah #189). (2) A lo saaseh commandment not to forget what happened (Sefer Hamitzvos, Negative Mitzvah #59). (3) The mitzvah to blot out the people of Amalek, mechiyas Amalek (Rambam, Hilchos Melachim 5:5, and Sefer Hamitzvos, Positive Mitzvah #188; Semag). The Torah’s repetitive emphasis, remember and do not forget, teaches that the commandment “remember” means to express, to state it as a declaration. This is similar to the mitzvah of Kiddush, Zachor es yom haShabbos lekadsho, which is a requirement to state the sanctity of Shabbos and not simply to remember Shabbos (Sifra, beginning of Parshas Bechukosai). In addition, many authorities derive from the doubled command that the Torah requires us to review this declaration annually, since after a year one might forget it (see Sefer Hachinuch, Mitzvah 603). The Sefer Hachinuch explains that since the mitzvah is to make sure that one does not forget, the Torah requirement is to restate this reminder every one to three years. The requirement of the mitzvah is fulfilled both in one’s heart and on one’s lips (Sefer Hachinuch). The Gemara (Megillah 18a) states that the positive mitzvah of remembering what Amalek did requires reading from a sefer Torah. For this reason, many authorities conclude that the annual public reading of Parshas Zachor from a Sefer Torah is required min haTorah (see Tosafos, Megillah 17b s.v. kol and Ritva ad loc. ; Tosafos, Brachos 13a; Rosh, Brachos 7:20). Some conclude that the requirement to hear Parshas Zachor is even greater than that of hearing Megillas Esther, since the mitzvah of reading Megillah is miderabbanan, whereas Parshas Zachor is required by the Torah (Terumas Hadeshen #108). For this reason, the Terumas Hadeshen concludes that those who live in places that have no minyan are required to go to where there is a minyan for Shabbos Zachor to hear this reading, a ruling codified in the Shulchan Aruch (Orach Chayim 685:7). Notwithstanding the long list of recognized early authorities who rule that an annual reading of Parshas Zachor is required min haTorah, several later authorities find this position difficult to sustain, contending that the requirement was introduced by Chazal. For example, the Minchas Chinuch (#603) states that the requirements for a minyan and a sefer Torah can be only miderabbanan. Similarly, Shu’t Toras Chesed (Orach Chayim #37) provides a lengthy analysis as to why he feels that it is difficult to rule that reading Parshas Zachor annually is a Torah requirement. Nevertheless, in his final conclusion, he accepts the decision of the earlier authorities who rule that the Torah requires that we hear Parshas Zachor every year. At this point, we should explain the following question: If we are required to read Parshas Zachor, how do we perform the mitzvah by listening to the reading, without actually saying the words? The answer is that there is a halachic principle called shomei’a ke’oneh, hearing someone recite the appropriate passage fulfills a mitzvah responsibility the same way reciting it does. Shomei’a ke’oneh explains how we observe the mitzvah of kiddush when we hear someone else recite it, and applies in numerous other situations, such as reading Megillas Esther and blowing shofar. For shomei’a ke’oneh to work, the individual who is reciting must have in mind that he is performing the mitzvah on behalf of those listening, and the listeners must have in mind that they are fulfilling their duty to perform the mitzvah by listening. It is for this reason that, in most shullen, prior to the reading of Parshas Zachor the gabbai, baal keriah or rabbi announces that everyone should have the intention to fulfill the mitzvah. What is the halachah if one discovers, after the reading, that the Sefer Torah used for reading Parshas Zachor is missing a letter or has some other defect that renders it invalid? Must one re-read Parshas Zachor? Allow me to provide some background. Although there are rishonim who rule that the mitzvah of keri’as haTorah does not require reading from a kosher Sefer Torah, the halachic conclusion is that it does. However, if during or after keri’as haTorah one finds that the sefer Torah was not kosher, one is not required to repeat what was already read (Shulchan Aruch, Orach Chayim 143:4). The rationale behind this is that since the mitzvah of reading the Torah is miderabbanan, one can rule that, bedei’evid, after one read the Torah, one fulfilled the mitzvah. Why is no birkas hamitzvah recited for Zachor? When Parshas Zachor is read as maftir, the person receiving the aliyah recites birkas haTorah before it is read, as we do with all aliyos to the Torah. Why is no birkas hamitzvah recited before reading Zachor es asher asah lecha Amelek,since it is one of the 613 mitzvos? The authorities answer that we do not recite a brochah on an act of destruction, even though the world benefits from the removal of evildoers. This can be compared to one of the reasons cited why we do not recite the full Hallel on Pesach after the first day or days. “My creations are drowning, and you are singing praise?” Similarly, it is inappropriate to bless Hashem for the ability to destroy evil (Kaf Hachayim 685:29, quoting Yafeh Leleiv). Among the rishonim and geonim, we find differing opinions as to exactly what this mitzvah entails. Some understand that the mitzvah of remembering Amalek is a requirement to know the laws involved in destroying Amalek (Raavad and Rash to Sifra, beginning of Parshas Bechukosai, as explained by the Encyclopedia Talmudis). According to this approach, the mitzvah of zechiras Amalek is primarily a mitzvah of learning Torah. Why specifically Amalek? Because after the Exodus from Egypt and the splitting of the sea, all the nations were afraid of the Jews, until the moment that Amalek attacked. Although Amalek was beaten, this attack decreased the nations’ tremendous awe and fear of the Jews (Rashi). This question was posed to Rav Shmuel Vozner, of Bnei Braq, by someone doing outreach in a small community in Brazil (Shu’t Shevet Halevi 4:71). The community had a minyan in the morning, but most of the people did not come. The question was whether they should have a second Parshas Zachor reading late in the day. Some suggested that at minchah they read Parshas Shekalim for the kohen, and for the other two aliyos they read the regular minchah reading from the next week’s parshah. Others suggested that they read Parshas Shekalim on Monday, instead of the weekday reading, since it was still before Rosh Chodesh Adar. Still others suggested that they read Parshas Shekalim the next Shabbos, as maftir. The Chida disputed all three approaches, contending that Parshas Shekalim may be read only in the morning, and can be read only on the Shabbos on which it is designated to be read. In his opinion, one who missed reading Parshas Shekalim at its appropriate time does not fulfill the takanas chachamim by reading it any other time (Shu’t Yosef Ometz #27). However, it appears that not all authorities accepted this ruling of the Chida. The Dagul Meirevavah (Orach Chayim 135) rules that a community that was unable to have keri’as haTorah on Shabbos morning, but was able to have it on Shabbos afternoon, should read the full reading and call up seven people prior to beginning minchah. Then, after reciting Ashrei and Uva Letzion, they should take out the Sefer Torah again and read the appropriate minchah reading from the following week’s parshah. Thus, he holds that one may read the main Shabbos reading in the afternoon, if necessary, which disagrees with the Chida’s ruling. However, there might be a difference between Parshas Shekalim, whose reading does not fulfill any mitzvah of the Torah, and Parshas Zachor. Since Parshas Zachor might fulfill a Torah requirement, there is a responsibility to hear it, even if you were not in shul Shabbos morning. This is the reason why there is a widespread custom of having Parshas Zachor readings in the afternoon for those who cannot attend the reading in the morning. Now that we understand the basics of the mitzvah, we can address the first question asked above — whether women are obligated to hear Parshas Zachor annually. The Chinuch states that women are excluded from the requirement to remember to destroy Amalek, since they are not expected to wage war. In his opinion, women have no obligation to hear Parshas Zachor, although they certainly may hear it and receive reward for doing so, as one who observes a mitzvah in which s/he is not obligated. Other authorities dispute the Sefer Hachinuch’s approach. In Adar 5628 (1868), Rav Yaakov Ettlinger, the author of the classic Aruch Laneir commentary on several mesechtos of the Gemara, was asked by his son-in-law, Rav Moshe Leib Bamberger, whether women are required to hear Parshas Zachor. The Aruch Laneir reports that he asked his rebbe, Rav Avraham Bing, who told him that Rav Nosson Adler (the rebbe of the Chasam Sofer) ruled that women are required to hear Parshas Zachor, and he insisted that they all go to hear it. The Aruch Laneir explains that Parshas Zachor is not a time-bound mitzvah, since one can read Parshas Zachor whenever one wants, as long as one reads it once a year. He then quotes the Chinuch’s reason to absolve women from the obligation, and notes that it should not make any difference if women are the actual warriors, since they are involved in destroying Amalek – as evidenced by Esther’s participation (Shu’t Binyan Tziyon 2:8). Despite what we have just written, some authorities contend that whenever one reads from a sefer Torah in public, one is required to recite a brochah, because of the Torah-ordained mitzvah of birkas haTorah. In their opinion, this is true even when the reading itself is not required, and even when one has already recited birkas haTorah in the morning (Be’er Sheva and Shu’t Mishkenos Yaakov, both quoted by the Toras Refael #2). Although the Toras Refael concludes that most rishonim dispute that reciting birkas haTorah under these circumstances is a Torah requirement, he nevertheless understands that the Shulchan Aruch rules that birkas haTorah is required miderabbanan, whenever the Torah is read in public. Based on this opinion of the Toras Refael, some contemporary authorities feel that one should avoid entirely the practice of additional Shabbos Zachor readings, since the special reading creates a safek brochah, a question as towhether one should recite a brochah on the reading (seen in print in the name of Rav Elyashiv). Nevertheless, the accepted practice is to have these special readings to enable women to fulfill the mitzvah. On the other hand, the Minchas Yitzchak was asked whether one makes a brochah for an auxiliary Parshas Zachor reading (Shu’t Minchas Yitzchak 9:68). He quotes those who contend that every public reading of the Torah requires a brochah, and then notes many authorities who did not share this opinion. The Minchas Yitzchak then specifically mentions the practice of those who read all of Sefer Devarim in shul on the night of Hoshanah Rabbah without reciting a brochah, noting that this was the practice of the Divrei Chayim of Sanz. He also quotes several other authorities who advocate reading the parshah of the day’s nasi after davening each day of the first twelve days of Nissan, also a custom performed without first reciting a brochah. Thus, we have several precedents and authorities who ruled that one may have a public reading of the Torah without reciting a brochah, and there is, therefore, no need to change the established practice of reading Parshas Zachor and not reciting a brochah beforehand. We should also note that when the Magen Avraham (139:5) quotes the opinion of the Be’er Sheva, he opines that once one has recited birkos haTorah in the morning, he exempts himself from any requirement to recite further brochos on reading Torah that day, unless there is a specific institution of Chazal to recite them. The Semak (Mitzvah #23) explains that the reason for the mitzvah not to forget what Amalek did is so that we always remember that Hashem saved us from Amalek’s hands. Constant perpetuation of this remembrance will keep us in awe of Hashem, and this will prevent us from acting against His wishes. An inebriated Purim drop-in damaged some property in our house. May we collect damages? At a wedding, two people collided, causing one of them to break a leg and lose work time. Is the person who hurt him liable? Is it permitted for a man to wear a woman’s dress on Purim? In part I of this article, we discussed whether someone who damaged property in the course of festivities is required to make compensation. We learned that there are sources on this topic dating back to the time of the Beis Hamikdash! As we noted in the earlier article, early sources in the Mishnah and Gemara discuss whether one is required to pay for harm that occurred in the course of a celebration. According to Rashi’s interpretation, after the completion of the hakafos in the Beis Hamikdash on Hoshanah Rabbah, the adults would grab the lulavim and esrogim from the children and eat the esrogim. Rashi explains that there was no prohibition involved, because this was part of the holiday festivities. Most, but not all, authorities accept this approach. The Beis Yosef (Orach Chayim 695) quotes some of the sources that excuse the merrymaker from damages, but states that this immunity exists only in communities where this type of rowdy behavior is commonplace. He then notes that in the area in which he lives, this type of raucous celebrating does not exist. Therefore, we understand why he omits any discussion of exempting merrymakers from damages in the Shulchan Aruch. On the other hand, numerous other authorities, predominantly Ashkenazim, exempt a person from paying damages that occur as a result of mitzvah gaiety (e.g., Mordechai, Sukkah 743; Agudah, Sukkah; Terumas Hadeshen 2:210; Yam shel Shelomoh, Bava Kama 5:10). The Rema rules this way in three different places (Orach Chayim 695:2; 696:8; Choshen Mishpat 378:9), and it is accepted subsequently as normative halacha. Notwithstanding the generally accepted approach that a merrymaker is exempt from paying damages, there are exceptions. Does this exemption of liability apply, even when there is physical injury? The Magen Avraham raises this question and notes that it is the subject of a dispute among halachic authorities. He quotes the Keneses Hagedolah, who rules that one is obligated to pay for physical harm, whereas the Agudah rules that one is not. I noted in the first part of this article that the Terumas Hadeshen appears to agree with the Agudah that one is exempt, even when there is physical injury. His case was someone who used holiday festivities as an excuse to push another person very hard, causing major injury. The Terumas Hadeshen obligated him to pay, because the injury was intentional, but seemed to accept that if the damage had been a result of merrymaking, there would be no obligation to pay. Until now, we have been talking about whether a merrymaker is excused from financial compensation for damages, and we have discussed sources that exempt him, at least under certain circumstances, and other sources that do not. The next step in our discussion is to understand why he should be exempt. The halachic rule is that odom mu’ad le’olam, a person is always responsible to pay for damage that he causes (Mishnah, Bava Kama 26a). Why is there an exception for a merrymaker? I have found three halachic approaches that suggest why the person responsible for causing damage is exempt from paying. As we will see, there are practical differences in halacha that result from the different approaches. When people participate in an activity together, there is an implied mechilah that one will not collect damages. In order to not put a damper on people’s celebrating, Chazal exercised their authority of hefker beis din hefker (Bach, Yoreh Deah 182). There is a special exemption for people participating in a mitzvah. We should note that the three reasons we have mentioned are not mutually exclusive. A halachic authority might hold that two or three of the reasons apply. In other words, someone might contend that whenever damage occurs in the course of a simcha shel mitzvah, the party responsible is exempt for any of the reasons provided. Two people were wrestling. In the course of their bout, one of the combatants knocked the other to the floor and then pounced on him. Unfortunately, his opponent suffered serious permanent injury as a result. The question asked of the Rosh is whether there is an obligation to pay damages. The Rosh ruled that two people who decide to wrestle agree implicitly that each is mocheil the other for damages that happen as a result of their activity. Therefore, one cannot afterward submit a financial claim for injury (Teshuvos HaRosh #101:6). The Rosh is teaching us a halachic principle that one cannot claim damages that result from an activity that he joined willfully. Similarly, if someone stomps inadvertently on another person’s foot during dancing at a wedding or on Simchas Torah, there is no requirement to pay damages. Everyone knows that, in the course of the dancing in a crowded shul on Simchas Torah or at a wedding, occasionally someone is going to step on your foot. It is quite clear that everyone accepts that this may happen and is mocheil the person responsible. If you want to be certain not to get hurt, don’t participate in the dancing. Notwithstanding that the logic asserted by the Rosh is undoubtedly true, it cannot be the only reason for the halacha exempting merrymakers from damage, for the following reason: According to Rashi’s understanding of the Mishnah quoted above, adults took the lulavim and esrogim of children, and this was acceptable because it was part of the holiday celebration. Yet, children do not have the halachic ability to be mocheil. Thus, at least according to Rashi, the heter releasing a merrymaker from liability must be based on a different halachic principle. The principle of hefker beis din hefker allows a rabbinic court, or someone with equivalent authority, the halachic ability to forfeit a person’s ownership or claims. In our instance, it means that they rescinded the claimant’s rights to collect for damages that he incurred. The Bach assumes that the reason for exempting a merrymaker from paying damages is because Chazal exercised their authority of hefker beis din hefker in order not to put a damper on people celebrating (Bach, Yoreh Deah 182). In other words, someone may be reluctant to join the dancing at a wedding or on Simchas Torah out of concern that he may inadvertently hurt someone and be liable for damages. In order that people celebrate without reservation, Chazal exempted participants in certain semachos from paying damages. This approach explains why adults were permitted to commandeer the property of children as part the Sukkos celebration, even though children cannot be mocheil. Although a child’s statement that he forgives someone’s liability to him has no legal status, Chazal have the ability to forfeit such a claim. Here is yet another explanation why a merrymaker is exempt from paying damages: This is because the merrymaker was performing a mitzvah whose proper fulfillment precludes being as careful about one’s actions as one ordinarily must be. We find a similar idea in the following passage of Gemara (Bava Kama 32a): Someone running through a public area – an action that is otherwise considered unacceptable and liable – is exempt from paying damages if, in his rush to be ready for Shabbos, he collides with another person. Since he is racing for a mitzvah, he is not liable (see Piskei Rid ad locum). The same approach can be applied to our merrymaker. He will be unable to entertain properly if he is constantly thinking of the legal responsibility that might result from his actions. Therefore, as long as his celebrating is within normally accepted limits, he is exempt from damages that result. Later in this article, I am going to suggest that an early halachic authority, Rav Yehudah Mintz, usually called the Mahari Mintz, held this way. At this point, let us examine the second of our opening questions: At a wedding, two people collided, causing one of them to break a leg and lose work time. Is the person who hurt him liable? According to the Terumas Hadeshen and the Agudah, there is no requirement in this instance to pay damages, since they rule that a merrymaker is exempt from damages even if there was physical injury. In this instance, the Bach would also agree that he is exempt since, although there is physical injury, it is likely to heal, and he rules that as long as no permanent damage resulted, a merrymaker is exempt from making compensation. However, it would seem that the Keneses Hagedolah, who rules that physical injury is not included in this exemption from compensation, would require our merrymaker to pay. In a responsum, the Mahari Mintz addresses whether it is permitted for men to wear women’s clothing as part of the Purim celebration and, vice versa, whether a woman may wear men’s clothing. The Mahari Mintz quotes a mechutan of his, Rav Elyakim – whom the Mahari Mintz describes as knowing all areas of Torah and being the greatest halachic authority of his time – as having permitted this. The Mahari Mintz agrees with his mechutan, explaining that the prohibition against wearing other gender clothing is only when one’s interest is to dress or act like the other gender, but not when one’s goal is to celebrate. He quotes as proof an early ruling of the Riva, one of the baalei Tosafos, that all food grabbed by young men in the course of the Purim celebration is not considered stolen, provided that this happened sometime between the reading of the Megillah at night and the end of the Purim seudah (Shu”t Mahari Mintz, end of #16). Thus we see that celebrating Purim can sometimes exempt one from other obligations. The Bach took great issue with the Mahari Mintz’s ruling permitting the wearing of other gender clothing on Purim. Allow me to quote some of the Bach’s discussion on the subject. “One should note that there is a practice on Purim that men wear women’s clothing, and vice versa, without anyone protesting that this is a violation of halacha. According to what I explained above, wearing clothing of the opposite gender to appear like them is certainly forbidden. Rav Yehudah Mintz already discussed this issue in his responsum, saying that, since their intention is to celebrate Purim, there is no prohibition, similar to the ruling that a man may shave his underarm hair when it is uncomfortable (an act that is usually prohibited, because of the prohibition of men wearing women’s clothing and performing activities that are considered feminine). However, it appears to me that what Rav Yehudah Mintz wrote is inaccurate, since Rabbi Eliezer of Metz [one of the baalei Tosafos, a disciple of Rabbeinu Tam, who lived in the 12th century] wrote explicitly that one may not wear clothing of the other gender in order to enhance the celebration of a choson and kallah… Without any question, had Rabbi Yehudah Mintz seen the words of Rabbi Eliezer of Metz, he would not have written what he did. Rabbi Yehudah Mintz also wrote that, since there is the established heter of grabbing food on Purim and it is not considered theft, similarly, changing clothing [to that of the other gender] is permitted. However, his logic here is erroneous, because in regard to money, there is a halachic rule of hefker beis din hefker… however, the city elders cannot permit something that is prohibited [such as wearing clothing of the other gender]” (Bach, Yoreh Deah 182). The question that we need to address is, what did Rabbi Yehudah Mintz hold is the reason to exempt a merrymaker from paying for damage that he caused? He could not have held either of the first two reasons we mentioned above, since neither reason would allow someone to celebrate by wearing clothing of the other gender, and Rabbi Yehudah Mintz compares the two practices. Apparently, he understood that the basis for exempting someone from payment is because he was involved in performing a mitzvah (celebrating Purim), and that wearing clothes of the opposite gender is prohibited only when one’s motivation is to look somewhat like the other gender, but not when one is doing so to perform a mitzvah. In general, we must realize that we should perform Hashem’s mitzvos with much enthusiasm. Although this is an important value, we must also always be careful that our enthusiastic observance of mitzvos does not cause harm. Nevertheless, we now know that there are instances when someone might be exempt from payment for damage he caused while he was performing a mitzvah, particularly when the mitzvah involved celebrating. Question #1: Stole a Brocha? Someone walked into our Purim seudah, helped himself to some kreplach, recited a loud brocha and then disappeared. Should we have answered “amen” to his brocha? 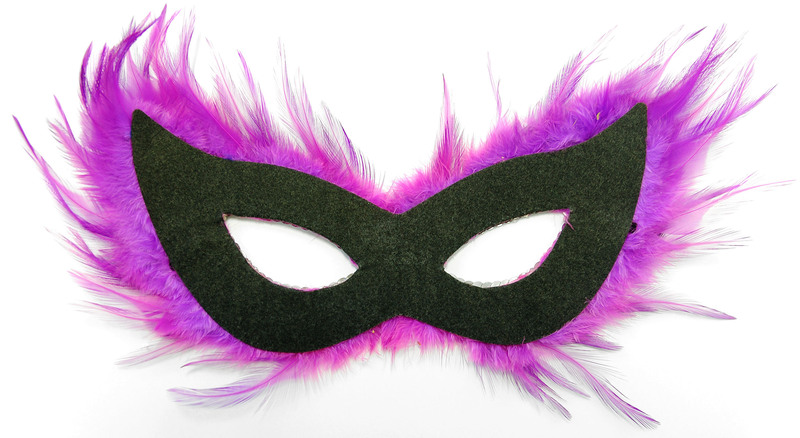 Although we certainly hope that our Purim celebrations do not result in anyone getting hurt, the topic of this week’s article is whether someone is required to pay compensation, should he cause damage in the course of festivities. As we will discover, this is an old question, with sources dating back to the time of the Beis Hamikdash! As always, our discussion is not meant for halachic conclusion – for that we refer the reader to his own rav, dayan or posek. The purpose of our article is to provide educational background. (1) Their fathers could have purchased them, in which case the lulavim and esrogim belong to the children min haTorah, and one would have thought that taking them violates stealing. (Those who would like to research this subtopic in more detail should note that the approach is based on the comments of the Kapos Temarim, who disagrees with the view of the Tosafos Yom Tov. The Kapos Temarim was authored by Rav Moshe ibn Chabib, a distant cousin of the author of the Ein Yaakov [both of them were descendants of the Nimukei Yosef]. Rav Moshe ibn Chabib was born in Salonica about the year 1654, attended yeshivah in Istanbul and was sent to Yerushalayim by Rav Moshe Ya’ish, a businessman in Istanbul, to become a magid shiur of the yeshivah there that Rav Ya’ish supported. As hakaras hatov to his benefactor, for the first three years after his arrival in Yerushalayim, Rav Moshe ibn Chabib sent back to Rav Ya’ish notes from his shiurim in the yeshivah, which he developed into seforim on mesechtos Rosh Hashanah, Yoma, and Sukkah. Rav Ya’ish arranged for these chiddushim to be published in Istanbul. After three years in Yerushalayim, Rav Moshe Galanti, the first to hold the position called rishon letziyon, passed on, and Rav Moshe ibn Chabib, then only about thirty-five years old, was appointed as his replacement to be the rishon letziyon. This is quite astounding, since there were approximately one hundred great talmidei chachamin at the time in the very small community of Yerushalayim, many of them decades older than he. This underscores his tremendous status as a gaon in learning. Tosafos notes that, according to Rashi, the following halacha would result. “We can learn from here that young men who ride on their horses to greet a chosson and they fight together (probably a jousting match or something similar, performed to entertain the celebrants) – if one of them tears the other’s clothing or injures his horse, they are not liable, because this is the minhag established because of simcha.” In other words, when people are involved in celebration, even should it get somewhat rowdy, the established practice exempts a person from paying damages that may result. We should note that Tosafos mentions that one young man tore another’s clothing or injured his mount, both of which are instances of property damage – but Tosafos does not discuss whether there is liability in the event of physical injury. We will discuss more on this point shortly. Tosafos then suggests an alternative way to explain the Mishnah: After the last of the hakafos, the children removed their own lulavim from the hadasim and aravos and began to play with their lulavim and eat their own esrogim (and not that the adults grabbed the children’s lulavim and esrogim). According to this approach, the Mishnah contains no reference to someone taking another person’s property as part of the celebration, and it therefore provides no source that a celebration exempts liability should one damage someone else’s property. However, although the second approach does not provide a source exempting a simcha situation from liability, this does not necessarily mean that those who understand the Mishnah this way require that a celebrant pay damages. It simply means that there is no source from the Mishnah regarding this law. It is interesting to note that Rashi on the Gemara (46b) cites Tosafos’ approach in explaining the Gemara and disagrees with it on the basis of a Midrash Rabbah that he quotes. This leads to an interesting discussion among the early acharonim. The Maharam notes that Tosafos does not point out in either place that Rashi himself mentions the other approach and disagrees with it. The Maharam concludes that Tosafos obviously did not have this text in Rashi; he also notes that he found other editions of the Gemara that do not have this Rashi. The Gra similarly states that this text is not part of what Rashi wrote but was written by someone later, and then added to our editions by an errant copyist. However, we should note that these comments are attributed to Rashi’s commentary even in the very earliest printed Shas, the Bomberg edition, printed in Venice in 1521. That would mean that the Maharam and the Gra are noting that this mistake crept into Rashi even earlier, probably before the era of printing. We find evidence that not all rishonim agree that someone who caused damage while celebrating a simcha is exempt. This disagreement is borne out by a ruling of the Rosh, recorded in the following responsum (Teshuvos Harosh 101:5). For the occasion of his wedding and sheva brochos, a chosson rented an elegant mule. The rental agreement from the non-Jewish owner included a provision that, if the mule was injured, the renter/chosson would be required to pay not only damages but also a substantial fine, far more than the market value of the animal. In the course of the merriment, a celebrant who was on horseback playfully chased after the chosson. His steed collided with the chosson’s mule, severely injuring the mule. Subsequently, there was a din Torah concerning payment for the damage to the chosson’s rented mule. (Some friend! And what a way to celebrate your wedding!) The Rosh rules that the friend is obligated to pay the damages for the mule, but he is not obligated to pay the cost of the contractual fine over and above the value of the mule, for reasons unrelated to our discussion. The Maharshal notes that if a celebrant at a simcha is exempt from damages, the chosson’s friend should have no legal responsibility to make restitution. He therefore concludes that the Rosh disagrees with those who contend that there is an exemption from paying damages caused by mitzvah merriment (Yam shel Shelomoh, Bava Kama 5:10). The Beis Yosef (Orach Chayim 695) quotes some of the sources that excuse the merrymaker from damages, but notes that this immunity exists only in communities where this type of rowdy merrymaking is common practice. He then notes that in the area in which he lives, this type of rowdy celebrating does not exist. Therefore, we understand why he omitted any discussion of exempting merrymakers from damages when he wrote the Shulchan Aruch. On the other hand, numerous other authorities, predominantly Ashkenazim, exempt the person from paying damages caused by mitzvah gaiety (e.g., Mordechai, Sukkah 743; Agudah, Sukkah ad locum; Terumas Hadeshen 2:210; Yam shel Shelomoh, Bava Kama 5:10). The Rema rules this way in three different places (Orach Chayim 695:2; 696:8; Choshen Mishpat 378:9), and it is accepted subsequently as normative halacha. (One later authority who disagrees with the Rema is the Yesh Seder Lemishnah, in his commentary to the Mishnah in Sukkah.) Here I will quote one of the places where the Rema cites this law: Young men who ride to greet the chosson and kallah, and damage one another’s property while celebrating, are exempt from paying, since this is the accepted custom. However, if it appears to beis din that this practice needs to be curtailed, it is authorized to require payment. Eliezer claims that Gershom pushed him extremely hard during the Hoshanos and the subsequent impact broke Eliezer’s shoulder blade. Eliezer is now suing Gershom for compensation for his medical expenses, lost work time, and other damages. Gershom retorts that since it happened in the course of the Sukkos celebrations, he is exempt from paying. Testimony was introduced that Gershom’s act was premeditated – he was angry at Eliezer and used the Hoshanos observance as a ruse to disguise his reprehensible intentions. The two men were indeed involved in a serious tiff. Indeed, although the Torah would require someone who injures someone intentionally to pay not only for the other abovementioned costs, but also for embarrassment and pain, such claims require the authorization of judges who have semicha for these laws in a mesorah that traces itself back to Moshe Rabbeinu. In addition, these claims can be collected only when they can be proven. Nevertheless, the Terumas Hadeshen rules that since the damage was malicious, and Gershom attempted to mask his intentions in a way that he would not be liable, the situation requires punishment beyond what the law would necessarily require (Terumas Hadeshen 2:210). We should note that the Terumas Hadeshen contends that Gershom is responsible because he intended to injure Eliezer. However, had the injury been unintentional, the Terumas Hadeshen agrees that there would be no financial liability, notwithstanding the fact that there was physical injury and fairly extensive damages. This leads us to our next subtopic. Does the exemption of liability caused in the course of mitzvah merriment apply even when there is physical injury? The Magen Avraham raises this question, and notes that it is subject to a dispute among halachic authorities. He quotes the Keneses Hagedolah, who rules that one is obligated to pay for physical harm, whereas the Agudah rules that one is not. We also noted above that the Terumas Hadeshen held, like the Agudah, that one is not obligated to pay even in the instance of physical injury, should the cause of damage be the merriment and not someone’s despicable intentions. A similar question was asked of the Bach. During a wedding meal, one of the celebrants smashed his drinking glass against a wall and the flying glass caused someone serious, permanent injury. Is the glass smasher obligated to compensate for the damages, or is he exempt because of the rule of merrymaking? The Bach cites the dispute about whether a merrymaker is obligated to compensate for physical injuries. He rules that, even according to those who rule that physical injuries are included in the exemption, permanent physical injury is not included (Shu”t Habach #62). This opinion of the Bach is cited by some later authorities (He’aros Rav Boruch Frankel on Shulchan Aruch, Orach Chayim 695; Mishnah Berurah 695:13). Someone walked into our Purim seudah, helped himself to some kreplach, recited a loud brocha, and then disappeared. Should we have answered “amen” to his brocha? The halachic question here is that, in general, it is forbidden to recite a brocha on stolen food, and, therefore, one may not answer amen to such a blessing. The question is whether this food is considered stolen. Some prominent 15th century halachic authorities quote an early ruling of the Riva, one of the baalei Tosafos, that all food grabbed by young men in the course of a Purim celebration is not considered stolen, provided that this happened sometime between the reading of the Megillah at night and the end of the Purim seudah (Terumas Hadeshen 1:110; Shu”t Maharam Mintz, end of #16). The Beis Yosef (Orach Chayim 696) quotes this ruling as normative halacha. As a result, the Mishnah Berurah rules that someone who took food from another person during the Purim celebrations may recite a brocha. Nevertheless, he also quotes the Shelah (quoted by the Elya Rabbah) who frowns on this behavior, stating that anyone concerned about his Judaism should not conduct himself this way. Nevertheless, notwithstanding the conclusion that the Mishnah Berurah applies to this ruling, the halacha remains that, since the individual who helped himself to the kreplach did not steal, he was required to recite a brocha prior to eating it, and the brocha was therefore not recited in vain. The result is that one is required to answer amen to this brocha. Please click here for Part II of this article. .
(1) A positive mitzvah, mitzvas aseh, to remember the evil that Amalek did. (2) A lo saaseh commandment not to forget what happened. The Torah’s repetitive emphasis, remember and do not forget, teaches that the commandment “remember” means to express, to state it as a declaration. This is similar to the mitzvah of Kiddush, Zachor es yom haShabbos lekadsho, which is a requirement to state the sanctity of Shabbos, and not simply to remember Shabbos (Sifra, beginning of Parshas Bechukosei). In addition, many authorities derive from the doubled command that the Torah requires us to review this declaration annually, since, after a year, one might forget (see Sefer Hachinuch, Mitzvah 603). The Sefer Hachinuch explains that since the mitzvah is to make sure that one does not forget, the Torah requirement is to restate this reminder every one to three years. The requirement of the mitzvah is fulfilled both in one’s heart and on one’s lips (Sefer Hachinuch). At this point, we should address the following question: If we are required to read Parshas Zachor, how do we perform the mitzvah by listening to the reading, without actually saying the words? The answer is that there is a halachic principle called shomei’a ke’oneh: hearing someone recite the appropriate passage fulfills a mitzvah responsibility the same way reciting it does. Shomei’a ke’oneh explains how we observe the mitzvah of Kiddush when we hear someone else recite it, and applies in numerous other situations, such as reading Megillas Esther and hearing shofar. Allow me to provide some background. Although there are Rishonim who rule that the mitzvah of keri’as haTorah in general does not require one to read from a kosher Sefer Torah, the halachic conclusion requires that we do. However, if, during or after keri’as haTorah, one finds that the Sefer Torah was not kosher, one is not required to repeat what was already read (Shulchan Aruch, Orach Chayim 143:4). The rationale behind this is that since the mitzvah of reading the Torah is miderabbanan, one can rule that, bedei’evid, after the Torah has been read, the mitzvah has been fulfilled. The same ruling would apply if the mitzvah of reading Parshas Zachor is miderabbanan. Based on the assumption that the mitzvah of Parshas Zachor is min haTorah, the Pri Megadim suggests that if the Sefer Torah used was found to be invalid, one is required to read Parshas Zachor a second time, from a different Sefer Torah (Mishbetzos Zahav, Orach Chayim 143:1). When Parshas Zachor is read as the maftir, the person receiving the aliyah recites birchas haTorah before it is read, as we do with all aliyos to the Torah. Why is no birchas hamitzvah recited before reading Zachor es asher asah lecha Amalek, since it is one of the 613 mitzvos? The authorities answer that we do not recite a brochah on an act of destruction, even though the world benefits from the removal of evildoers. This can be compared to one of the reasons cited why one does not recite the full Hallel on the last day of Pesach. “My creations are drowning, and you are singing praise? !” Similarly, it is inappropriate to bless Hashem for the ability to destroy evil (Kaf Hachayim 685:29, quoting Yafeh Leleiv). Why specifically Amalek? Because after the Exodus from Egypt and the splitting of the sea, all the nations were afraid of the Jews until the moment that Amalek attacked. Although Amalek was beaten, he decreased the tremendous awe and fear that the nations had of the Jews (Rashi). Now that we understand the basics of the mitzvah, we can address the question of whether women are obligated to hear Parshas Zachor annually. The Chinuch states that women are excluded from the requirement to remember to destroy Amalek, since they are not the ones who are expected to wage war. Therefore, in his opinion, women have no obligation to hear Parshas Zachor, although they certainly may hear it and receive reward for doing so, as one who observes a mitzvah that he/she is not required. However, other authorities dispute the Sefer Hachinuch’s approach. In Adar 5628 (1868), Rav Yaakov Ettlinger, the author of the classic Aruch Laneir commentary on several mesechtos of the Gemara, was asked by his son-in-law, Rav Moshe Leib Bamberger, whether women are required to hear Parshas Zachor. The Aruch Laneir reports that he asked his rebbe, Rav Avraham Bing, who told him that Rav Nosson Adler (who was also the rebbe of the Chasam Sofer) ruled that women are required to hear Parshas Zachor, and he insisted that they all go to hear it. The Aruch Laneir explains that Parshas Zachor is not a time-bound mitzvah, since one can read Parshas Zachor whenever one wants, as long as one reads it once a year. He then quotes the Chinuch’s reason to absolve women from the obligation, and notes that it should not make any difference whether women are the actual warriors; they still are involved in destroying Amalek, as evidenced by Esther’s participation (Shu’t Binyan Tziyon 2:8). Notwithstanding what we have just written, some authorities contend that whenever one reads from a Sefer Torah in public, one is required to recite a brochah, because of the Torah-ordained mitzvah of birchas haTorah. In their opinion, this is true even when the reading itself is not required, and even when one has already recited birchas haTorah in the morning (Be’er Sheva and Shu’t Mishkenos Yaakov, both quoted by the Toras Refael #2). Although the Toras Refael concludes that most Rishonim dispute that reciting birchas haTorah under these circumstances is a Torah requirement, he nevertheless understands that the Shulchan Aruch rules that birchos haTorah is required miderabbanan whenever the Torah is read in public. The Semak (Mitzvah #23) explains that the reason for the mitzvah not to forget what Amalek did is so that we always remember that Hashem saved us from Amalek’s hands. Constant perpetuation of this remembrance will keep us in awe of Hashem, and this will inspire us to act in accordance with His wishes. Megillas Esther teaches that one of the mitzvos established by Mordechai and Esther was “matanos la’evyonim,” giving gifts to the poor. Since the megillah states one should give gifts “La’evyonim,” which is plural, we derive that one must give gifts to at least two poor people (Gemara Megillah 7b). WHAT IS THE MINIMUM GIFT TO FULFILL THE MITZVAH? There are several opinions regarding the minimum gift needed to fulfill the mitzvah. The Maharasha contends that one must give each person an amount significant enough to be respectable (Chiddushei Agados, Megillah 7a s.v. shadar). Some contemporary poskim rule this way. Zera Yaakov (Shu”t #11) contends that it is sufficient if the poor person could purchase a minimum meal with the gift, which he defines as bread the size of three eggs (quoted in Pischei Teshuvah 694:1). Thus according to this opinion, one fulfills matanos la’evyonim if one gives three slices of bread to each of two poor people (or enough money for each to purchase three slices of bread). Ritva contends that one is required to give only the value of a prutah, a copper coin worth only a few cents (Ritva, Megillah 7b; Menoras HaMaor; Shu”t Maharil #56). Mishnah Berurah (694:2) rules this way and one can certainly follow this approach. HOW MUCH SHOULD ONE STRIVE TO GIVE? Secondly, one should calculate how much one intends to spend for shalach manos and the Purim seudah and then designate a greater amount of money for matanos la’evyonim (Rambam, Hilchos Megillah 2:17). Question: Assuming that one has limited resources, which is more important to give, many gifts to the poor or many shalach manos? One should give a greater amount of matanos la’evyonim and limit how much shalach manos he sends (Rambam, Hilchos Megillah 2:17). IS IT BETTER TO GIVE A LOT TO A FEW POOR, OR A LITTLE TO EACH? The Bach rules that someone with 100 gold coins to distribute for matanos la’evyonim should distribute one coin to each of 100 poor people rather than give it all to one individual because this makes more people happy (Bach 695 s.v. v’tzarich lishloach). According to Rav Elyashiv, it is better to give two large gifts that will make two aniyim happy than to give many small gifts that are insufficient to make the recipients happy (quoted in Shevus Yitzchok on Purim, pg. 98). These two Piskei halacha are not in conflict — quite the contrary, they complement one another. The mitzvah of matanos la’evyonim is to make as many poor people happy as possible. Receiving a very small gift does not place a smile on a poor man’s face, although it fulfills the minimal requirements of the mitzvah as noted above. However, both the Bach’s gold coin and Rav Elyashiv’s large gift accomplish that the poor person becomes happy. Therefore, giving each person enough of a gift to bring a smile to his face is a bigger mitzvah than giving a very large gift to one person and being unable to bring a smile to the others. Thus, the optimal way to perform the mitzvah is to make as many people happy as possible. MAY MATANOS LA’EVYONIM COME FROM MAASER FUNDS? The minimal amount that I am required to give may not be from maaser funds just as one may not spend maaser money on other mitzvos (Shu”t Maharil #56; Magen Avraham 694:1). The additional money that I give may be from maaser (Magen Avraham 694:1). However, since I concluded that one is not required to give more than one perutah to each of two poor people, two perutos are worth only a few cents. Therefore, once can assume that virtually all one’s matanos la’evyonim may come from maaser money. Similarly, one does not fulfill the mitzvah of matanos la’evyonim if the ani does not receive the money until after Purim. DO I FULFILL MATANOS LA’EVYONIM BY DONATING MONEY TO AN ORGANIZATION? If the organization distributes the money to the poor on Purim, I can perform my mitzvah this way. DOES GETTING A TAX DEDUCTION PRECLUDE ME FROM FULFILLING MATANOS LA’EVYONIM? If I donate the money through an institution that will distribute the money on Purim, I can fulfill the mitzvah and also deduct the donation from my tax liability. CAN I FULFILL THE MITZVAH BY CHECK? If the poor person can convert the check into cash or food on Purim, then I fulfill the mitzvah (Shvus Yitzchok pg. 99, quoting Rav Elyashiv). DOES MY WIFE NEED TO GIVE HER OWN MATANOS LA’EVYONIM? A woman is obligated in matanos la’evyonim (Shulchan Aruch 695:4). Magen Avraham states “I did not see that people are careful about this, possibly because this rule applies only to a widow or other woman who does not have a husband but that a married woman fulfills her obligation by having her husband distribute for her. However, one should be more machmir.” Thus according to the Magen Avraham, a woman should distribute her own money to the poor. It would be acceptable for a husband to tell his wife, “I am giving matanos la’evyonim specifically on your behalf,” but it is better if he gives her the money for her to distribute or gives the money to a shaliach to be zocheh for her, and then gives the money to the ani. Although most poskim follow the Magen Avraham’s ruling, some rule that a married woman fulfills the mitzvah when her husband gives, even without making any special arrangements (Aruch HaShulchan 694:2), and others contend that a married woman has no responsibility to give matanos la’evyonim (Pri Chodosh, quoting Maharikash). No. One fulfills the mitzvah by giving the poor either food or money (Rambam). However, one should give the poor person something that he can use to enhance his celebration of Purim (see Pri Megadim, Mishbetzos Zahav 694:1). MUST THE POOR PERSON USE THE MONEY FOR PURIM? No. The poor person may do whatever he wants with the money (see Gemara Bava Metzia 78b). MAY ONE FULFILL THE MITZVAH AT NIGHT? One does not fulfill the mitzvos of matanos la’evyonim, shalach manos, or the Purim meal if they are performed at night (see Machatzis HaShekel 694:1). HOW POOR MUST A PERSON BE TO QUALIFY FOR MATANOS LA’EVYONIM? The Mishnah (Peah 8:8) states that someone who owns less than 200 zuz qualifies to collect most of the Torah’s gifts to the poor, including maaser ani, the second tithe reserved for the poor, and peah, the corner of the field left for them. What is the modern equivalent of owning 200 zuz? Contemporary poskim rule that someone whose income is insufficient to pay for his family’s expenses qualifies as a poor person for all halachos including matanos la’evyonim. This is assuming that he does not have enough income or savings to support his family without selling basic essentials (Piskei Teshuvos 694:2). DOES A POOR PERSON HAVE A MITZVAH OF GIVING TO THE POOR? Does the mitzvah of matanos la’evyonim apply to the poor? Is there an easy way for him to perform it? The Tur (694) states that “Chayov kol adam litein matanos la’aniyim,” “Every person is obligated to give matanos la’evyonim.” What is added by emphasizing “kol,” everyone? The Bach explains that this emphasizes that even a poor person, who is himself a tzedakah recipient, must also give. Is there an inexpensive way for a poor person to give matanos la’evyonim? Yes, he can give part of his seudas Purim to another poor person and the other poor person reciprocates. Thereby, they both fulfill matanos la’evyonim (Mishnah Berurah 694:2). Also, note that according to what I concluded above, a poor person can give a quarter to each of two other paupers and thereby fulfill the mitzvah. MAY ONE USE MONEY COLLECTED FOR MATANOS LA’EVYONIM FOR A DIFFERENT PURPOSE? One may not use money collected for matanos la’evyonim for a different tzedakah (Gemara Bava Metzia 78b). This is because the people who donated the money expect to fulfill two mitzvos with their donation: tzedakah and the special mitzvah of matanos la’evyonim. Thus, if one uses the money for a different tzedakah purpose, they fulfilled the mitzvah of tzedakah, but not the mitzvah of matanos la’evyonim. If someone decided to give money for matanos la’evyonim, he is required to give it for this purpose even if he did not say so (Mishnah Berurah 694:6, quoting Hagahos Ashri). Do residents of Yerushalayim and other ancient walled cities who observe Purim on the fifteenth of Adar (often referred to as “Shushan Purim”) fulfill the mitzvah of matanos la’evyonim by giving to the poor who observed Purim the day before? Do people who observe Purim on the Fourteenth fulfill the mitzvah by giving to the poor of Yerushalayim when it is not yet Purim for them? These are good questions that are debated by contemporary poskim. In the words of the Rambam (Hilchos Megillah 2:17), “It is more important to provide more gifts to the poor than to have a more lavish Purim seudah or send more shalach manos. This is because there is no greater and honored joy than bringing happiness to orphans, widows and the needy. Someone who makes the unfortunate happy is likened to Hashem’s Divine Presence, as the pasuk says: ‘He who revives the spirit of the lowly and brings to life the heart of the crushed,’” (Yeshayah 57:15).